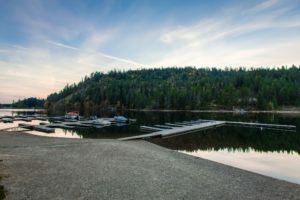 Hayden Lake offers over 40 miles of shoreline and is fed by streams and springs. 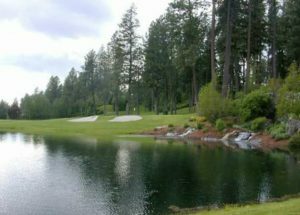 Located just minutes from the town of Hayden, City of Coeur d’Alene, two wonderful golf courses, shopping and restaurants. Click HERE to view available homes on Hayden Lake. 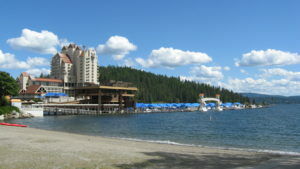 Lake Coeur d’Alene spans 25 miles long, up to 3 miles in width and over 109 miles of magnificent shoreline. Naturally fed by the beautiful St. Joe and Coeur d’Alene rivers. 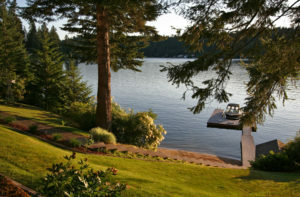 Click HERE to view available homes on Lake Coeur d’ Alene. 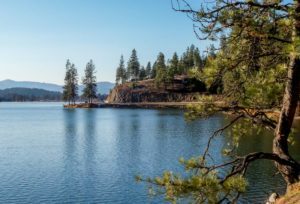 Sitting on 4.35 specatular waterfront acres directly adjacent to the Coeur d’ Alene Resort golf course, this community represents the pinnacle of luxury on the lake. Click HERE to look for available condos at the Terraces. Water flows from Lake Coeur d’Alene west into the Spokane River toward Post Falls, Idaho toward a beautiful natural 40-foot waterfall near the Washington state line. 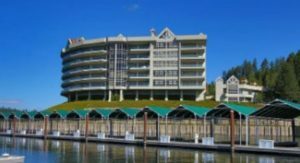 Click HERE to view available homes on the Spokane River. Avondale Lake is a small pristine lake that is a popular for fishing and nearby the Avondale Golf Club. Click HERE to view available homes on Avondale Lake. 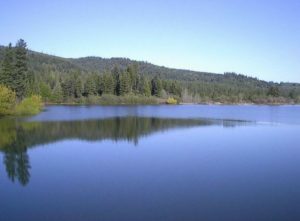 Located in Rathdrum, Twin Lakes offers two lakes joined by a narrow 10’ deep and wide water way. Click HERE to view available homes Twin Lakes. 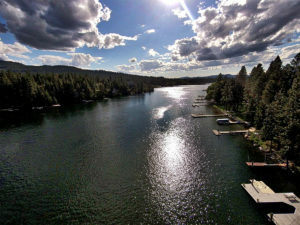 Fernan Lake is a small lake in Coeur d’Alene Lake popular for fishing. Click HERE to view available homes on Fernan Lake. 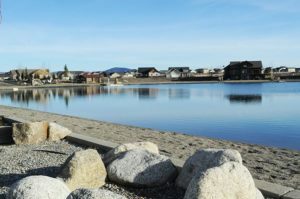 One of North Idaho’s newest waterfront communities is Radiant Lake featuring a 20-acre lake that warms very early in the season making it perfect for swimming, sailing, and canoeing. Click HERE to view available homes on Radiant Lake. With 12 miles of shoreline, it is the highest elevation of all the small lakes in the Inland Empire at 2,400 feet. Click HERE to view available homes on Spirit Lake.